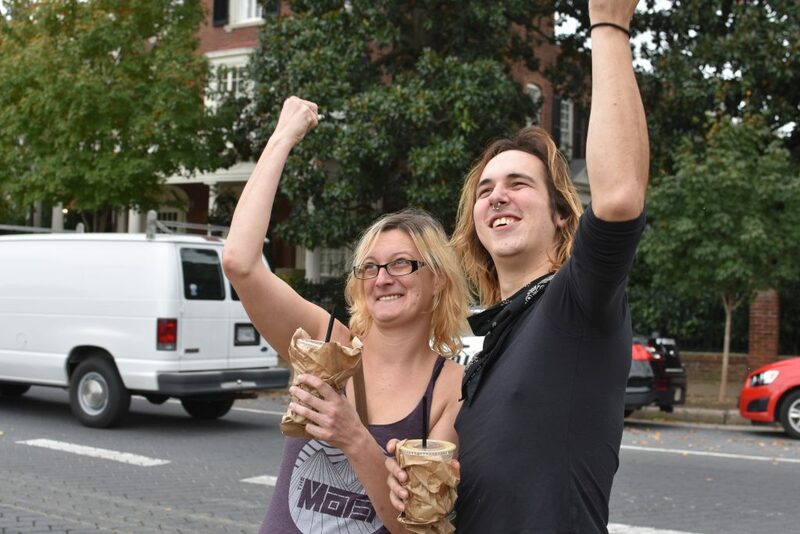 As previously reported in RVA Mag, local provocateur Goad KC planned a semi-satirical event titled “Yell At The Lee Statue While Drinking Out Of A Container In A Brown Bag” for 2:00 PM on Monday afternoon. “I had to work in the morning and tonight, so this was the perfect time,” he explained at the event, sipping an unidentified beverage inside a brown paper bag. Police were aware that they were asked not to come and stayed off to one side, describing the assembly as peaceful and easy to monitor. They weren’t checking the containers in the bags, noting that there was no cause for search without clear signs of drunkenness. Drinks seemed to be almost universally non-alcoholic, with many attendees promoting local spots. “We’re Black Hand Coffee fans,” an attendee who gave her name as Chanelle told me, referring to her dirty chai and an iced coffee that Harley, to her left, carried. Phrases were mostly G-rated, including “Get off my lawn,” and, “this could be a public park instead,” in between friendly conversations and chit-chat. 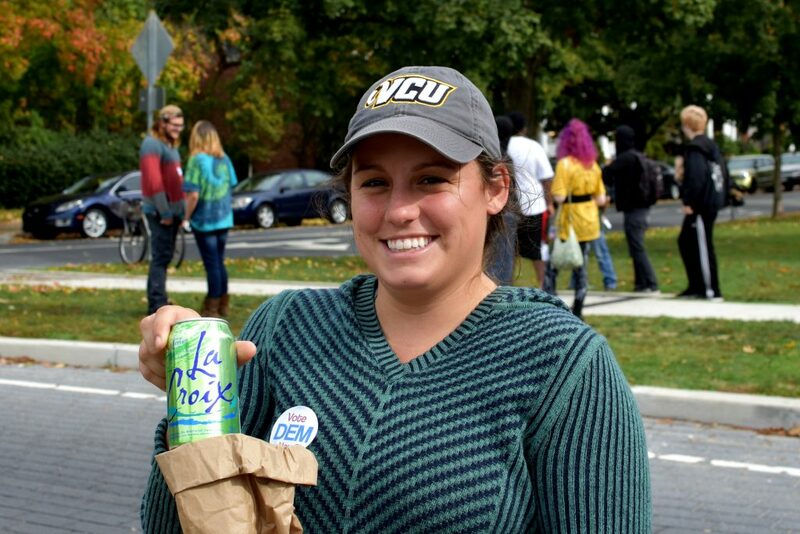 A VCU student named Alison brought her favorite seltzer, La Croix, which Goad noted was now owned by the same company as Faygo, the preferred beverage of the Juggalos. Behind the group, one man armed with a handgun and a camcorder expressed anti-semitic views while loudly condemning international banking. Most ignored him, but a few of the attendees teased him by referencing the conspiracy theories of David Icke, the former footballer who claims that aliens covertly run the Earth, in a series of books and speeches that seem to also contain anti-semitic views. Jenn Michelle Pedini of the Virginia Cannabis Group stopped by to hand out stickers supporting the Democratic party. She supports the party for a range of issues, including decriminalization of marijuana, which she thinks would be likely if Democrats won elections on November 7th. Jeremy Wright, Director of a group called Christian Young Adults, stopped by to see what was happening. He’s not from Richmond, but works with millennials on different social issues related to faith, and was critical of the statues. After the violence and hatred that ravaged Charlottesville, Richmonders could be excused for thinking the swift removal of our city’s prominent Confederate statues along Monument Avenue may be the best way to prevent further chaos and bloodshed. 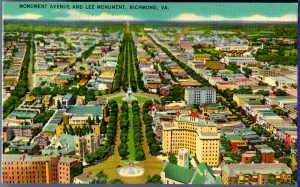 However, such an approach woefully neglects Richmond’s unique moral obligation to contend with its legacy of racism as the former capital of the Confederacy. Other cities may follow Baltimore’s lead and tear down their statues in the night, but for Richmond to do so would deprive its citizens—and our country as a whole—of an ideal opportunity to confront head-on the prejudice of the past that continues to plague us. The growing demands for the statues’ rapid removal are the result of our state and city being swept up in an overheating national dialogue on diversity and white nationalism. 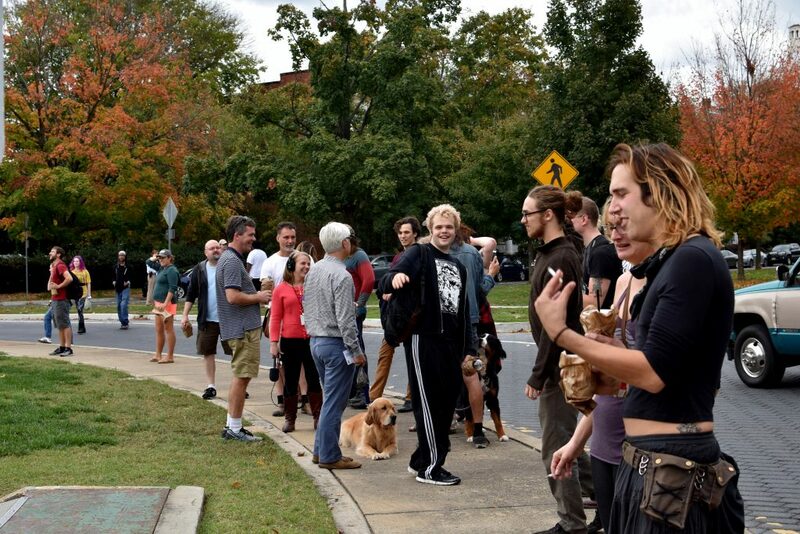 Yet Monument Avenue is a local landmark that deserves the careful consideration of and input from our community. Richmond should strive to be a model of racial reconciliation and tackle our Confederate heritage in a transparent, public, and comprehensive manner rather than let the toxic national dialogue dictate a hasty response. Simply tearing down a handful of statues is too easy of a fix to an extremely complex problem, and such an action would rob us of a vital educational tool through which to have a necessary, but difficult conversation about the history of racism in Richmond and Virginia. We are a state which chose “massive resistance” over integration and shut down our public schools in 1958 and 1959 rather than allow white and black children to learn together. Richmond’s segregated neighborhoods provide a perfect picture of the pernicious effects of redlining—the practice of disqualifying minority areas from receiving home loans. 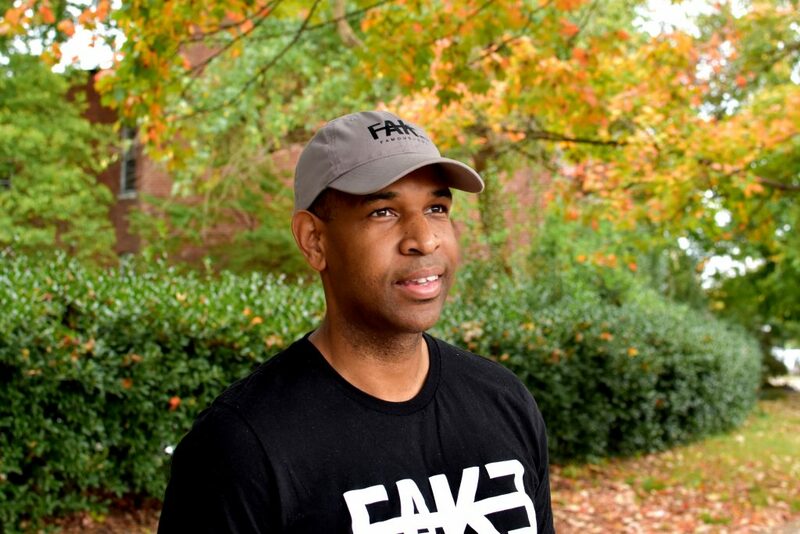 The University of Virginia in Charlottesville was once a pioneer of eugenics—the “science” made notorious by the Nazis, which sought to improve populations through controlled breeding and forced sterilization. In fact, Virginia did not repeal its forced sterilization law, which disproportionately affected blacks, until 1974. Removing statues alone won’t remove the lasting legacy of white supremacy in Virginia. To overcome our dark past we must flesh out our history, not erase it. Removing the statues by tucking them away in a museum makes it all too easy for us to forget the sins of the past and their continued impact today. Instead, we must alter the sites’ official information and place these statues in the context of their creation: the post-Reconstruction era when membership of the Ku Klux Klan exceeded four million and white nationalists reclaimed state governments from federal oversight. The final statue on Monument Avenue was completed in 1929, sixty-four years after the fall of the Confederacy; the statues are less about the people they memorialize than those who erected them. Installed to re-establish white supremacy in Virginia, the statues represent a glaring display of white dominance over the capital that must be dramatically altered in order to reclaim it as a space for all Richmonders. In the modern era, to heal society after civil war and genocide—and slavery was nothing less than a slow genocide—typically a truth and reconciliation process must take place, something our country has never truly attempted. Richmond bravely undertook such an effort in 1996 with the installation of a statue of Arthur Ashe, a local tennis hero and symbol of black achievement, to cap off the five Confederates. We should continue that work and expand the figures ensconced on Monument Avenue. Dialogue with the community should help decide which Virginians to include, ranging from prominent civil rights activists and lynching victims, to abolitionists, to slave rebellion leaders. As the evolving discourse around white nationalism and the legacy of the Confederacy transforms the statues from symbols of black oppression to emblems of white guilt, people are becoming ever more comfortable with simply removing them. Anti-racism activists shouldn’t fight to remove the statues just as their symbolic power is beginning to make people uncomfortable about the legacy of racism. They should instead harness their prominence to drive conversations on outstanding racial issues from affirmative action and inequities in education to justice reform and reparations. We must never forget that there was a time in our history when white men would rather die than see black people set free. Like the concentration camps of the Nazis, these statues must be preserved as the odious symbols of hate that they are, and put to use to educate society against the evils of tribalism and prejudice. *According to The Department of General Services in an email to RVA Mag, the permit request mentioned in this article has not yet been approved and is currently under-review. Right on the heels of the chaos caused by the ‘Unite The Right’ rally in Charlottesville, the Virginia Flaggers have seemingly announced a rally of their own to protect Confederate monuments on September 16, 2017. 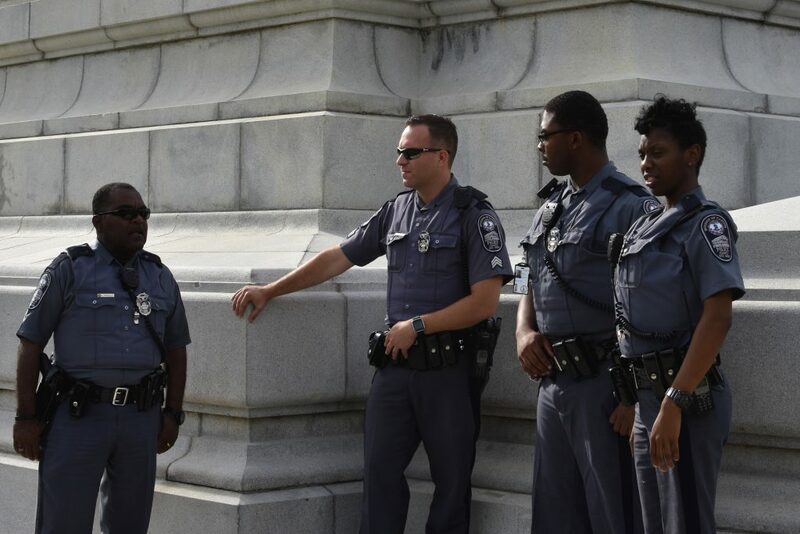 Mayor Stoney announced a commission in June to study how to best handle the controversies surrounding statues glorifying the Confederacy on Monument Avenue. While the first public meeting of Stoney’s commission this past week was a discordant affair, the city has made an effort to remain transparent about the proceedings. This is in stark contrast to the majority of people in Richmond who would like, at a minimum, to see some context added to the Confederate narrative on Monument Avenue. 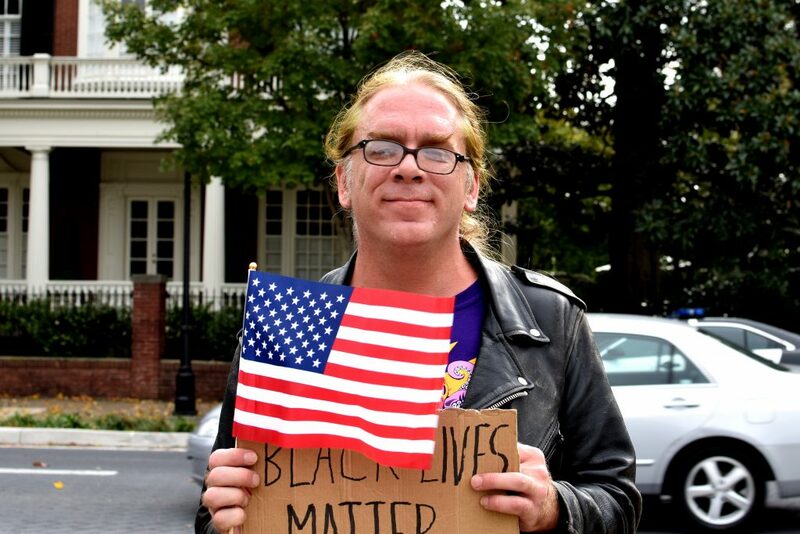 The Virginia Flaggers were founded by Susan Hathaway in 2011 after the removal of a Confederate flag in front of the Confederate Memorial Chapel in the city. The property is now owned and operated by the Virginia Museum of Fine Arts (VMFA). 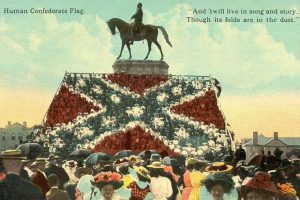 According to the Flaggers, the Confederate battle flag “ought to be celebrated.” Yet it was only a matter of time before they took up the cause of the Richmond Confederate monuments. Richmond is ground-zero for the debate over Confederate symbols, given its historical relevance. And as witnessed during this weekend’s Unite the Right rally in Charlottesville, these rallies have ended up as a front for white nationalist, supremacist, and alt-right groups looking to project their messaging through claims of ‘heritage’. The terrorist incident at yesterday’s counter-protest in Charlottesville by a white supremacist who drove his car into a group people, killing one and wounding up to 19 has proven just how contentious this debate has become. *Matthew Sporn and Landon Shroder contributed to this story. Less than a month ago, Richmond Mayor Levar Stoney sat down with RVA Mag for a special interview with Municipal Waste’s Tony Foresta. Topics ranged from local restaurants, music, and naturally Confederate statues. Stoney said when he ran for office, he believed the Confederate statues required context and an explanation of what they actually are. Something he reiterated in his interview with RVA Mag. Stoney said it’s time to “set the record straight” with the formation of the Monument Avenue Commission in a press conference this afternoon. Stoney has appointed 13 people to the committee, such as Christy Coleman, CEO of the American Civil War Museum, and Gregg Kimball, director of education and outreach for the Library of Virginia, who were appointed as commission co-chairs, and former city councilman Jon Baliles. The committee will hold two public meetings before the end September, Stoney said the dates and times will be released in the coming days. The commission’s website is already up and running, accepting public input in an online form. For more than a century, the Confederate statues have lined Monument Avenue, giving it both its name and defining its landscape. Stoney said the story the statues tell is an incomplete story at best, full of equal parts myth and deception. He said the statues were in part used to usher in a new era of white supremacy. “It is my belief that without telling the whole story, these monuments have become a default endorsement of that shameful period – one that does a disservice to the principles of racial equality, tolerance and unity we celebrate as values in one Richmond today,” Stoney said. Stoney said Arthur Ashe stands as the only “true champion” on the street. He has challenged the committee to change that by looking into adding statues along the avenue to highlight a more inclusive story of the Richmond. Cities across the nation, like New Orleans and even Charlottesville just an hour up the road, have been grappling with how to handle Confederate statues and symbols. 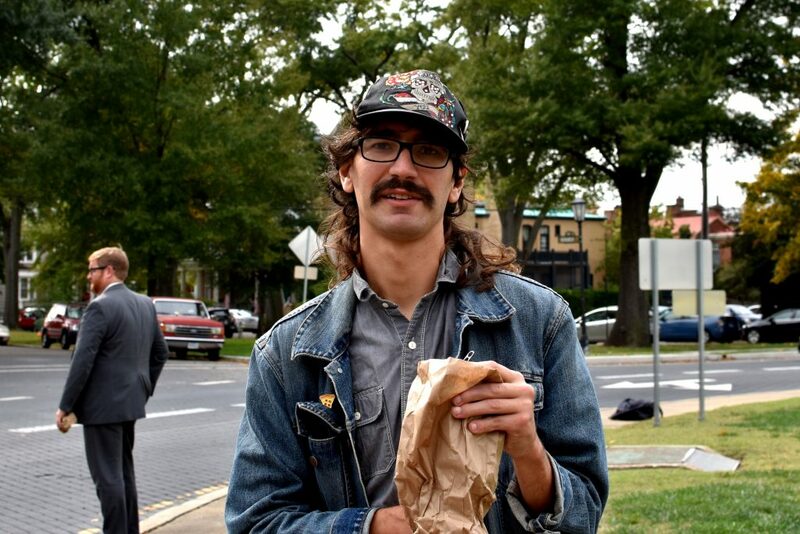 RVA Mag addressed the issue with an opinion piece, saying it was only a matter of time before these issues made their ways onto our own streets– literally. Although not on Monument Avenue, two statues celebrating Richmond’s black history are in the planning phases. The city will unveil a statue of pioneering Richmond banker Maggie L. Walker next month and the state is working to erect an emancipation statue by fall 2019. The mayor’s announcement comes just weeks before a Ku Klux Klan rally takes place in Charlottesville.